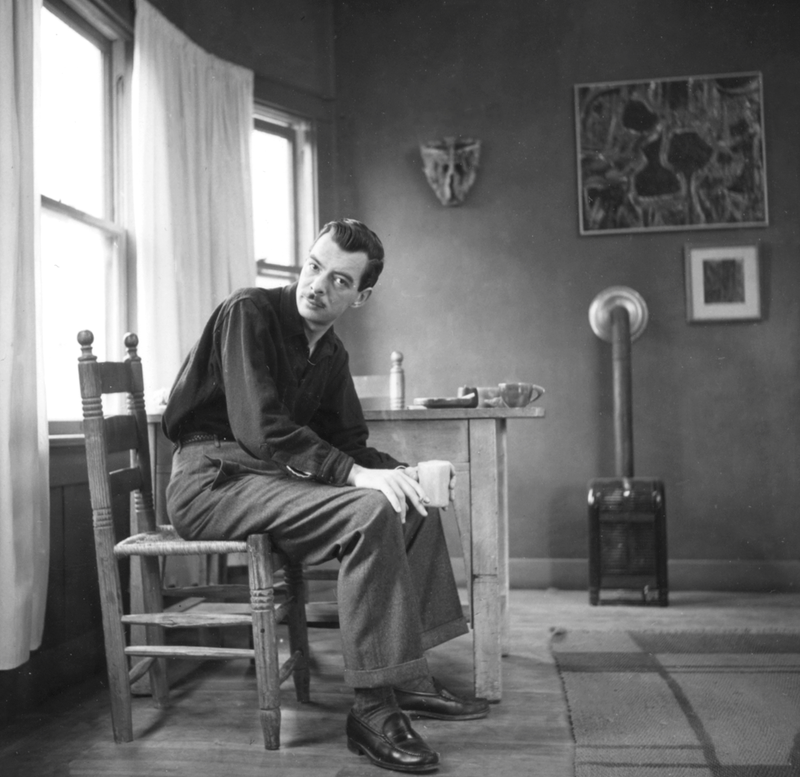 These photos of poet Weldon Kees completely threw me into one of those blissful archiving holes... where time stands still and you are transported to the time and place. Before now, I was not familiar with Weldon Kees work...and the first thing that struck me is that they were taken in California, not New York where Dan Wynn was based. There was a different quality to these portraits and I set about trying to figure out the story behind thees images. 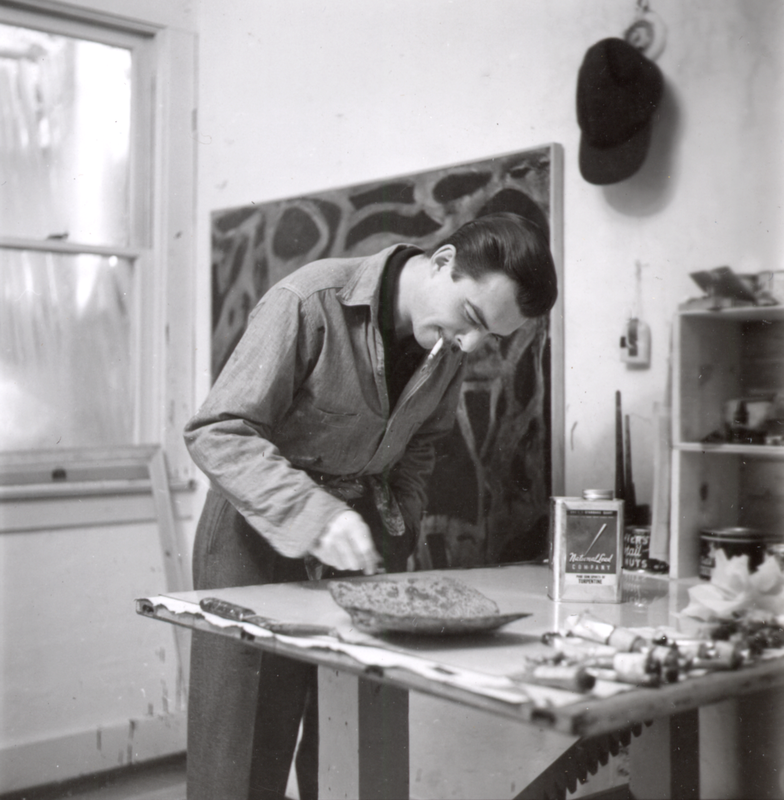 A brief bio of Kees, courtesy of Wikipedia.. Harry Weldon Kees (February 24, 1914 – July 18, 1955) was an American poet, painter, literary critic, novelist, playwright, jazz pianist, short story writer, and filmmaker. Despite his brief career, he is considered an important mid-twentieth-century poet of the same generation as John Berryman, Elizabeth Bishop, and Robert Lowell. His work has been immensely influential on subsequent generations of poets writing in English and other languages and his collected poems have been included in many anthologies. Harold Bloom lists the publication of Kees's first book The Last Man (1943) as an important event in the chronology of his textbook Modern American Poetry as well as a book worthy of his Western Canon. In 1950, Kees drove cross country to California from the East Coast with his wife Ann. In 1954, Kees separated from Ann, whose alcoholism led to a psychotic episode triggered by watching the Army–McCarthy hearings on television. After having her institutionalized, Kees divorced her around the time that his last book appeared, Poems, 1947–1954. Ann is present in many of the photos, mostly in the background, and you can sense a tension in their relationship. The bungalow they're living in is minimalist and has the air of a mid century, California bohemian lifestyle - with Kees' abstract paintings gracing the walls, simple wood furniture and a small heater. Kees has a debonair quality about him...and he seems to embody the turn culture was starting to take at the time from buttoned up 1950's to the freedom that was to come in the 1960's. Sadly, adding to his mystique, Weldon Kees is believed to have committed suicide by jumping from the Golden Gate Bridge. His car was found abandoned at the Marin County entrance to the bridge on July 19, 1955. There is also a theory that he staged the suicide and moved to Mexico. Either way, he was never seen or heard from again. He was 41.